Man, oh man! 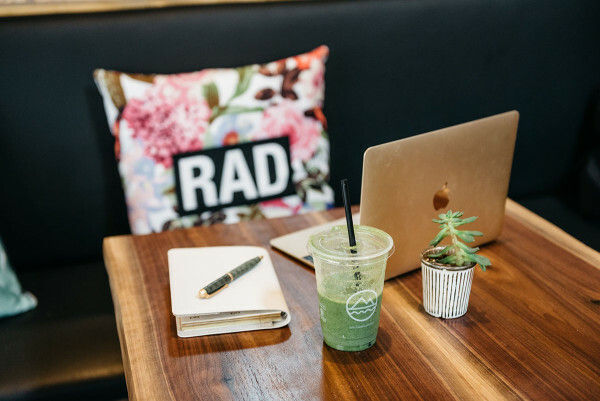 Today feels like the Monday-est Monday in quite some time… I don’t necessarily mean that in a bad way, but there’s a lot of fresh starts happening today. It’s officially August (where has the time gone?!) and it’s the first time I’m sitting down to my desk in the morning for a regular work day in well over two weeks, probably closer to three! I just got back from a two-week trip to Italy on Saturday night and there’s so much content to sift through to share with you all, so it’s going to be a busy week. Stay tuned for all of that! If all goes according to plan today, my guide to the Amalfi Coast will be up on the blog tomorrow… Fingers crossed! One of my favorite parts about traveling is the shift in perspective, along with how much it changes you. 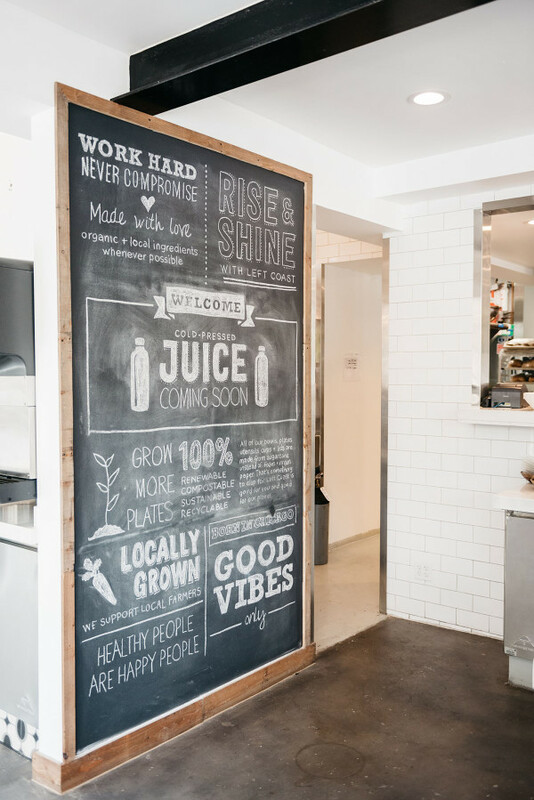 When I’m out of my normal routine and in a new place, big-picture thinking comes a lot easier. And when you’re physically away from people/places/things in your life for a while, you really start to realize who and what matters. I had quite a few of moments of clarity on the trip… friendships, relationships, good habits, bad habits, etc. And I feel empowered to start making some necessary changes to live a life that’s more me. As they say, you’ve got to get rid of toxic people/places/things from your life to create the space for and to attract the right ones. Kind of deep for a Monday morning, sorry! I currently have next to no concept of what time it is, what day it is, etc. The jet lag is real this time around! I’ve been in bed by 8pm each night since I’ve been back and have been waking up at hours that I’m normally still awake at (4:45am, 2:15am, etc). Hopefully it all sorts itself out soon! 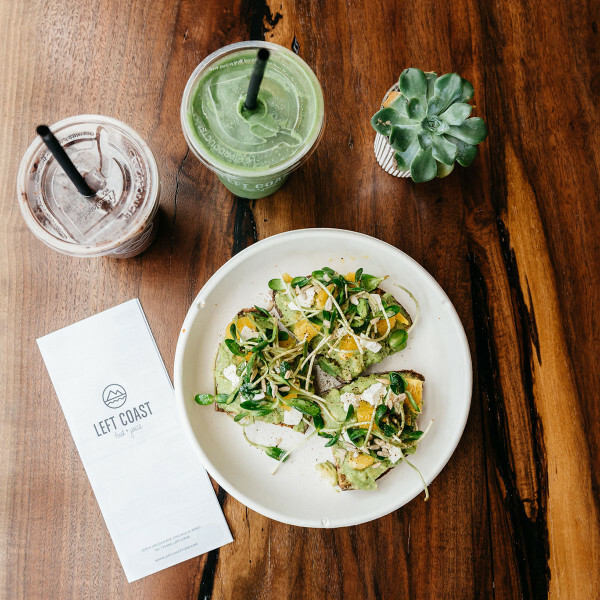 Left Coast is a relatively new healthy spot that opened in Chicago (in Lakeview!) earlier this year, in late spring/early summer. 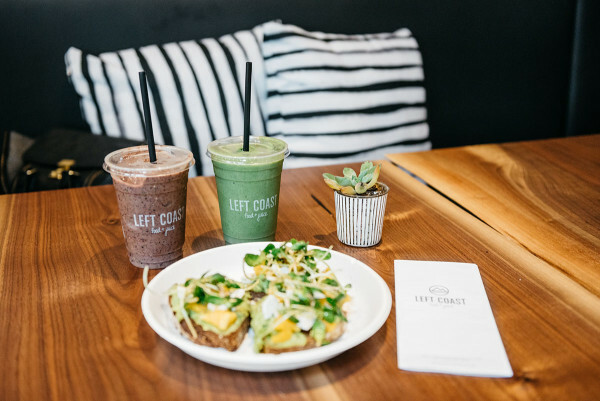 The avocado toast is so good, and you definitely can’t miss the fresh juices and delicious smoothies. 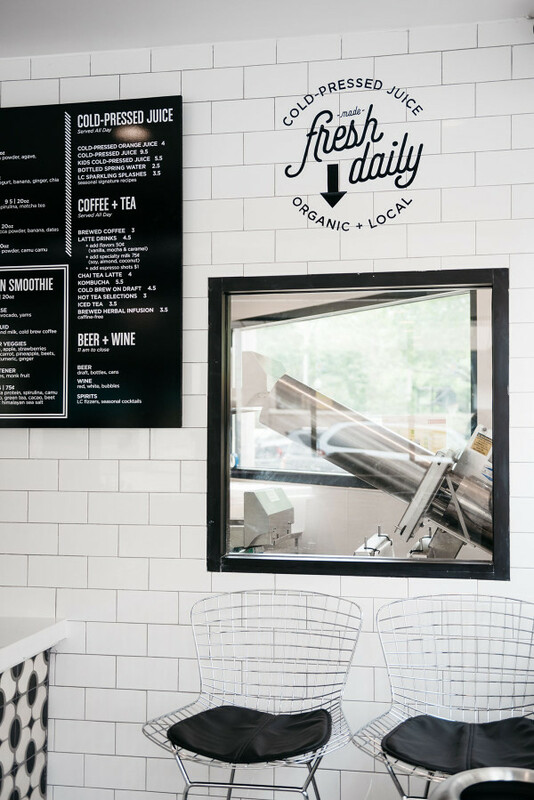 There’s a good amount of seating (outdoors, too!) 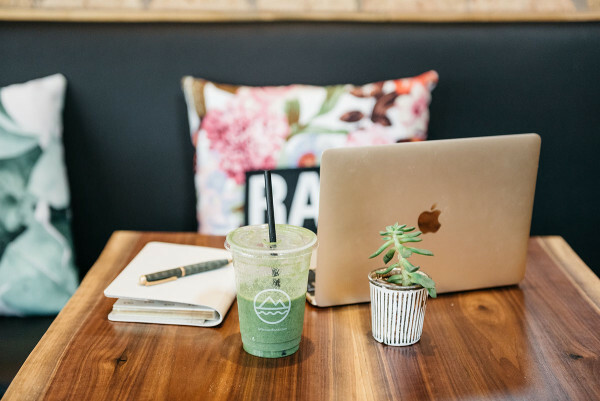 so it makes for a great spot to get some work done at during the day. 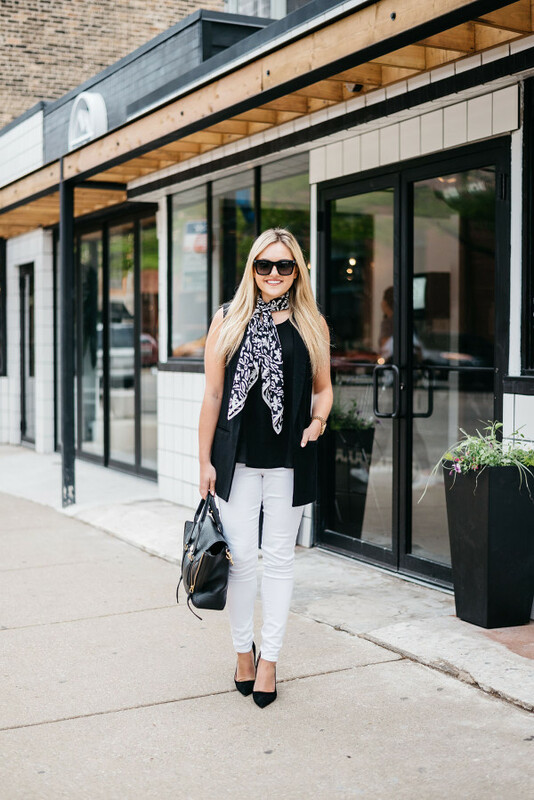 When it’s not too hot and jeans are bearable, this simple outfit is one of my go-to’s for a summertime workday. 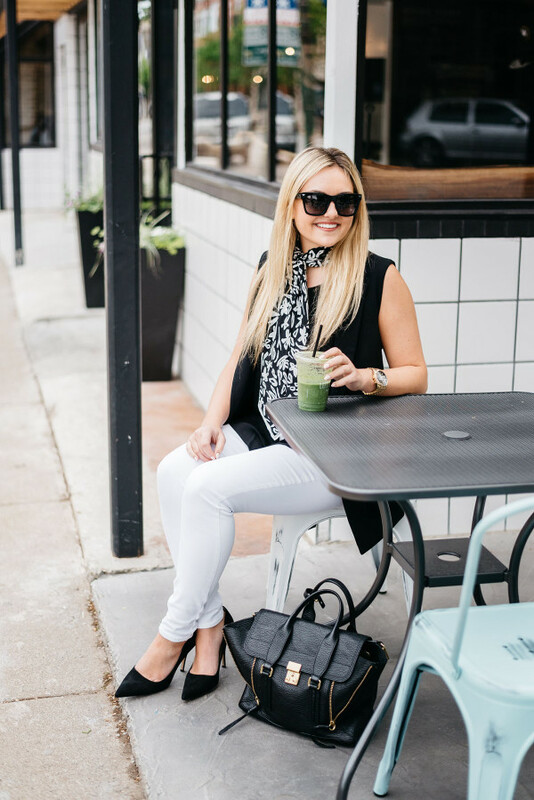 A long vest is the perfect topper to pull your outfit together, without weighing you down! Same goes for the fall and winter, too, which makes vests the ultimate layering piece year-round. 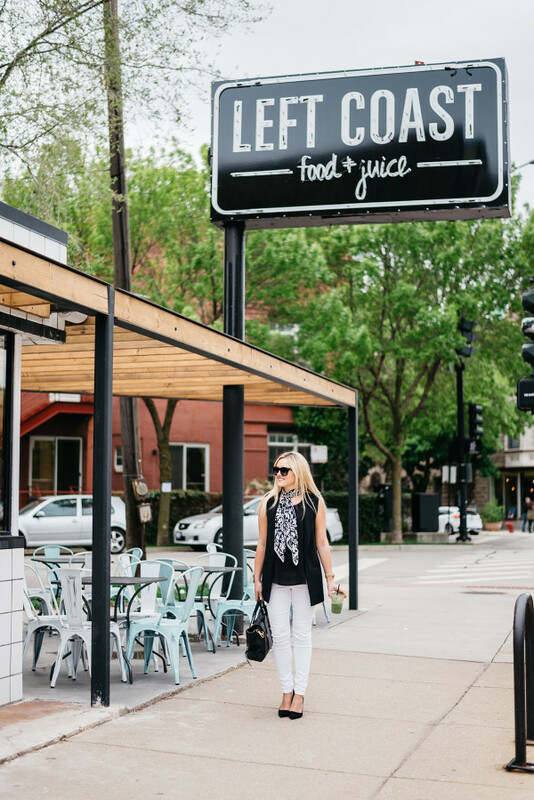 You can easily toss your vest on over a long-sleeve top, or layer it under another jacket for extra warmth (and style!). 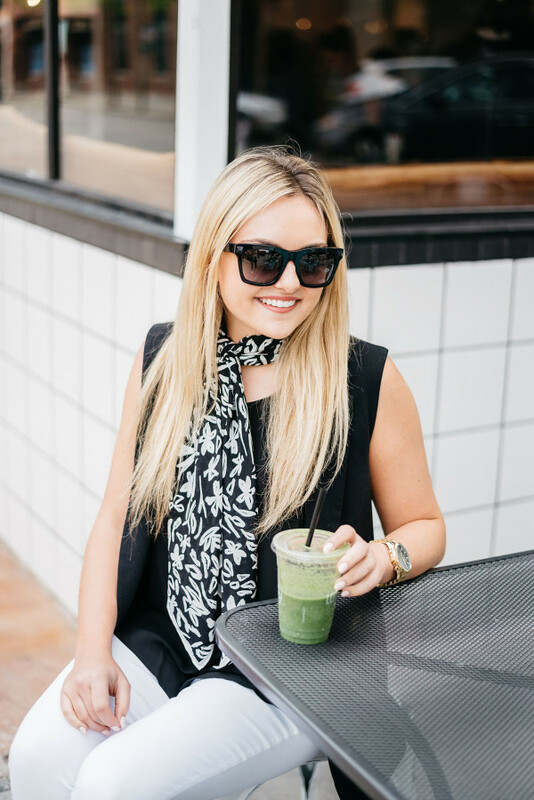 Love that scarf and can’t wait to hear more about your trip! 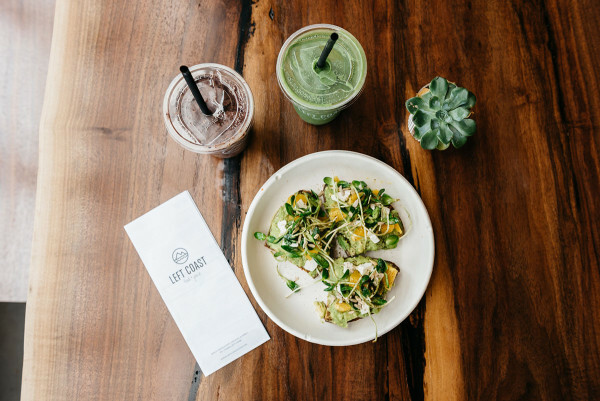 I’m always on the hunt for some great avocado toast, and this one looks delicious! Hope the jet lag goes away soon! I’m heading on a trip this week with a three hour time difference, which is the biggest difference I’ve ever experienced. Hopefully my jet lag won’t be too bad. Travel really does help put things in perspective. Glad your trip was such a good one! 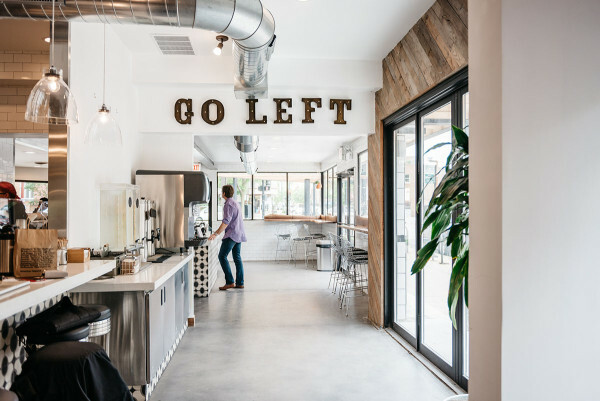 This is an adorable coffee place! That scarf is so pretty!! Such a chic look on you, lady! 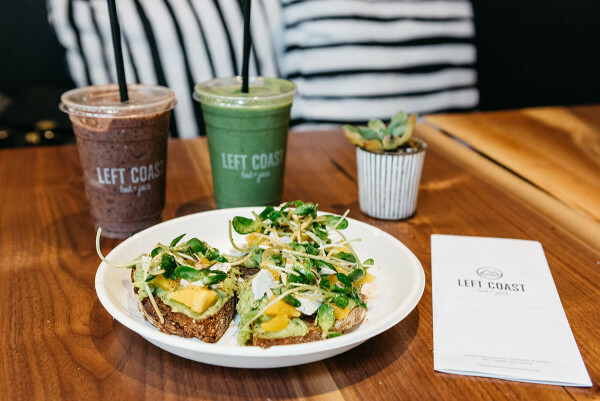 Left Coast is so yummy – their açai bowls are amazing! Happy Monday! 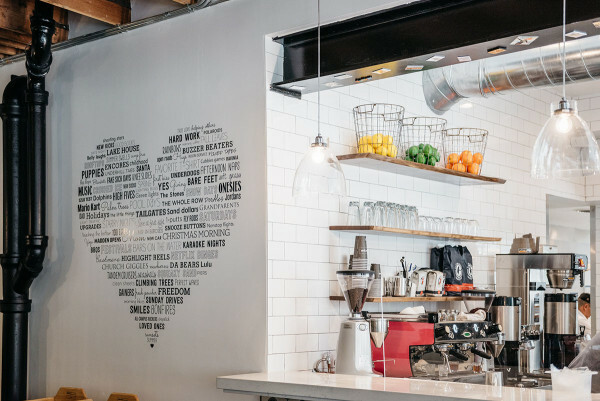 This place looks SO cute! 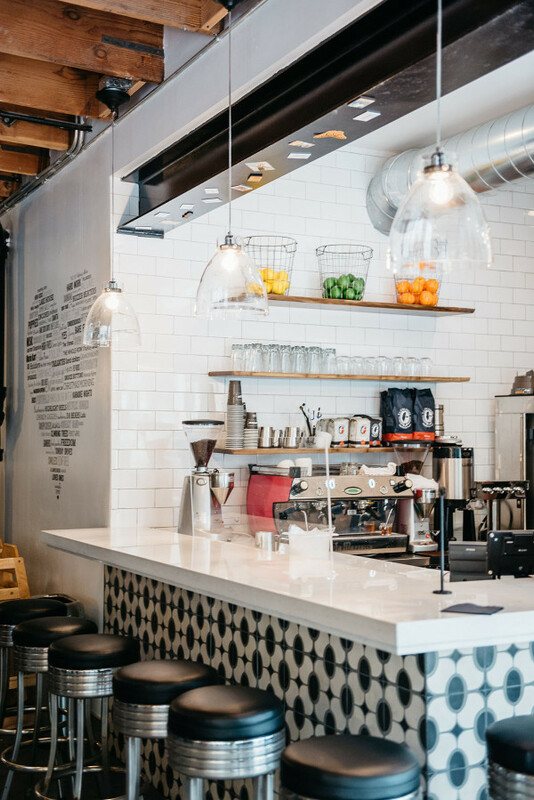 I’m putting it on my list for my next Chicago visit. Plus, I’ve been searching for the perfect long vest like this since last November… needless to say, I found it thanks to you! Can’t wait to hear more about your trip!!! Outfit is fab! Good luck with the jet lag! I can’t wait for your Amalfi coast recap! Your pictures on Instagram were stunning! 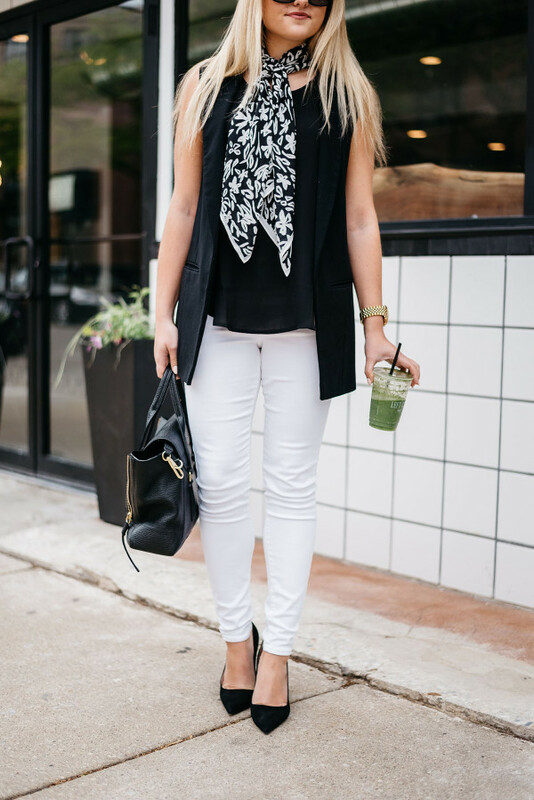 Nothing better than a black and white outfit! Loved today’s post! I totally agree about needing to let go of toxic things in order to pave the way for good things! Also such a cute outfit and I’m lovin’ that scarf! 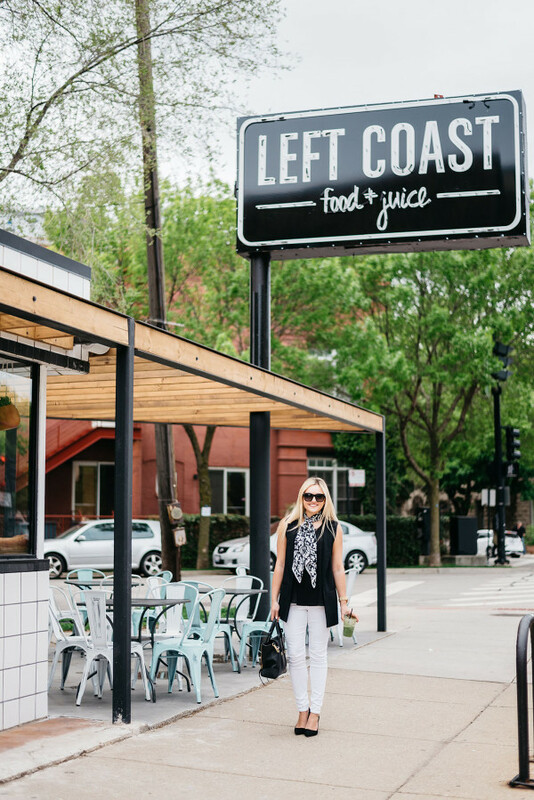 I’m moving to Chicago next week and am always adding cool places to my list of must-see’s and Left Coast is definitely one of them… it’s so cute! Cute outfit and want to go here! Do you think this outfit would work with black pants & white on top? I have a long white vest but not sure how to wear it and it just sits in my closet. 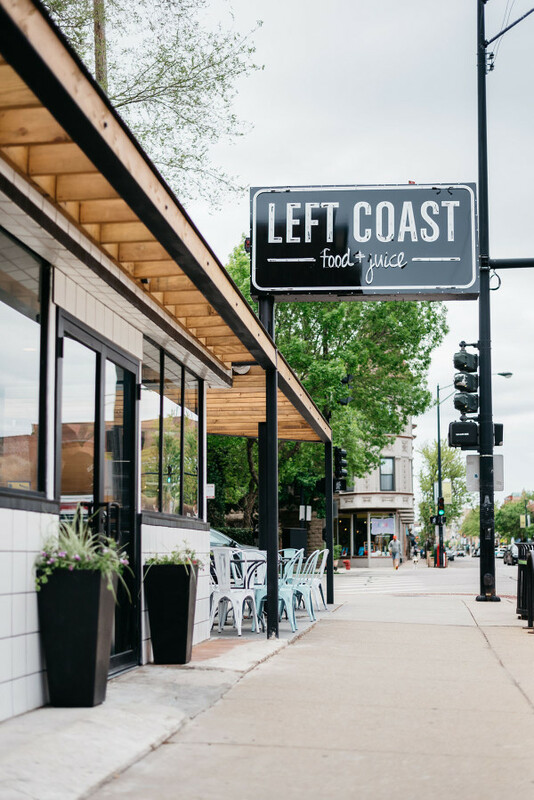 Will try Left Coast when I’m back in Chicago (two weeks! ); any other recommendations on places like this one? Love the outfit, BTW. I just drove by this today and immediately thought, “I have to go there!” Good review, now I definitely need to go.